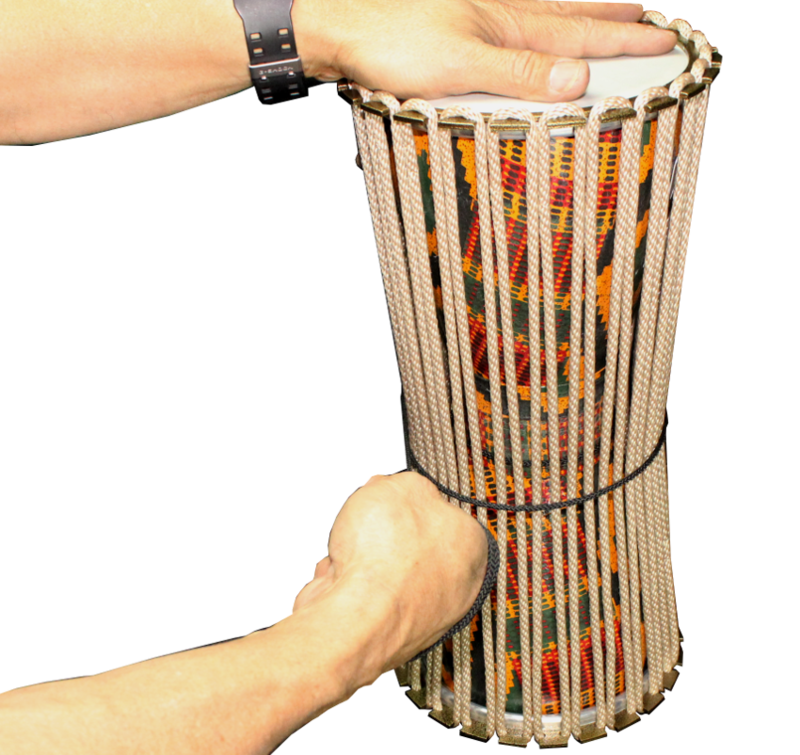 Remo’s original Awe Talking drum was made with a metal tension ring. 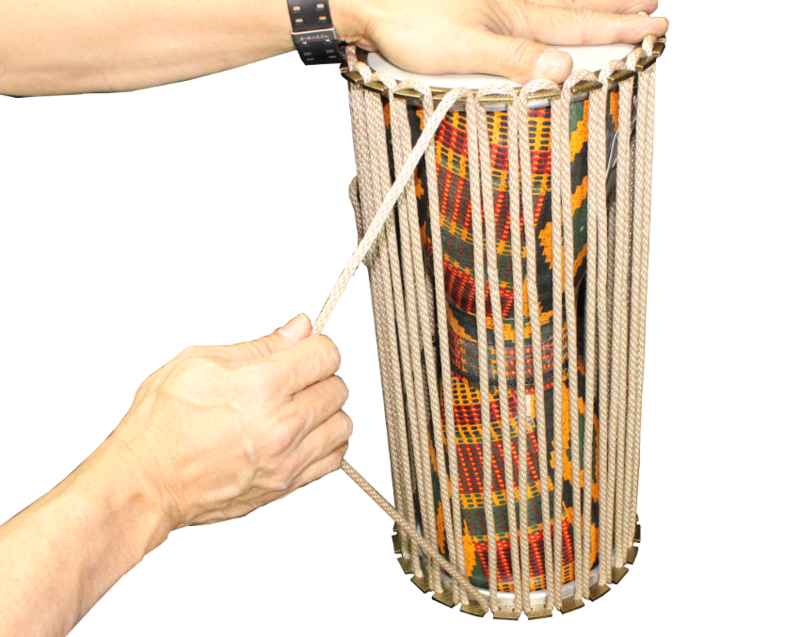 Although the use of this metal tension ring has long been discontinued and replaced with an improved traditional version, many original Awe Talking drums are still in use today and may need adjustments or drumhead replacements. Here are the easy instructions how to replace the drumheads. 1. Place drum on end. 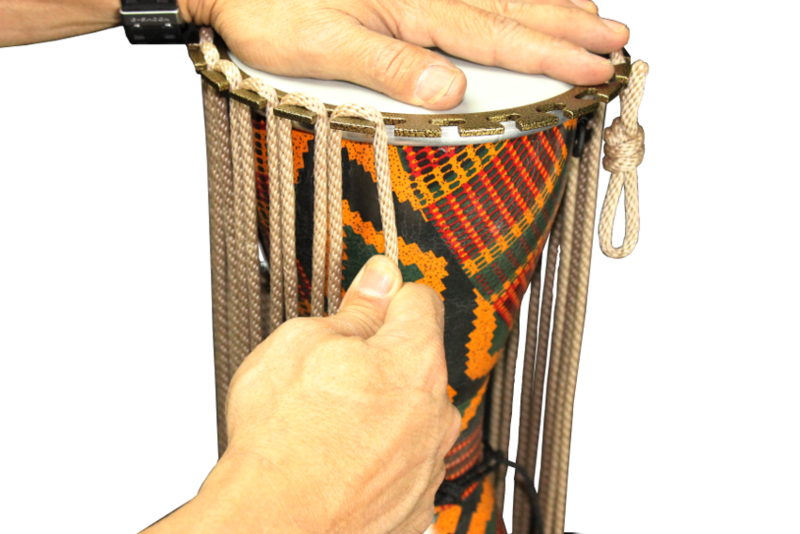 Remove the rubber trim completely on both ends of the drum. Release the rope tension and remove rope from the metal tension ring hooks. 2. Now remove drumheads and rings adding replace drumheads. 3. 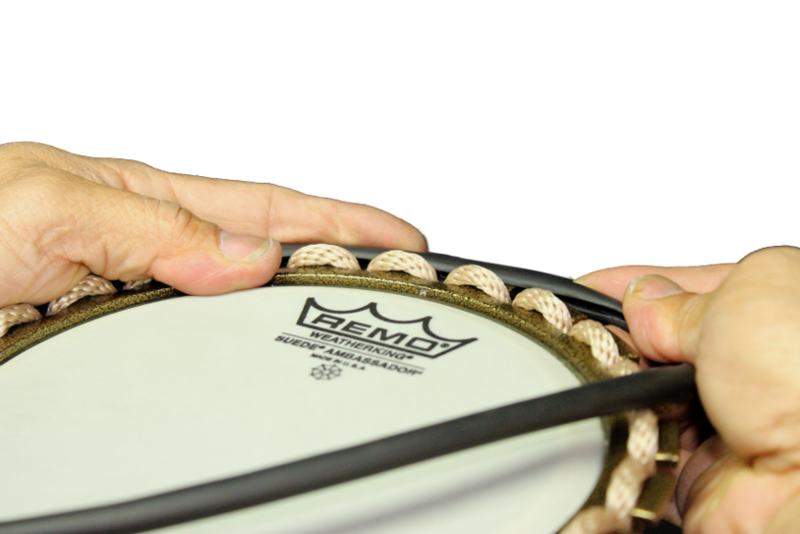 After replacing drumheads and rings locate the rope loop and place it at the top. Insert the rope through the ring hooks as shown starting at the top and repeat the process at the bottom. You must insert the rope in the same ring hook where you started. Now repeat process around the drum up and down. 4. 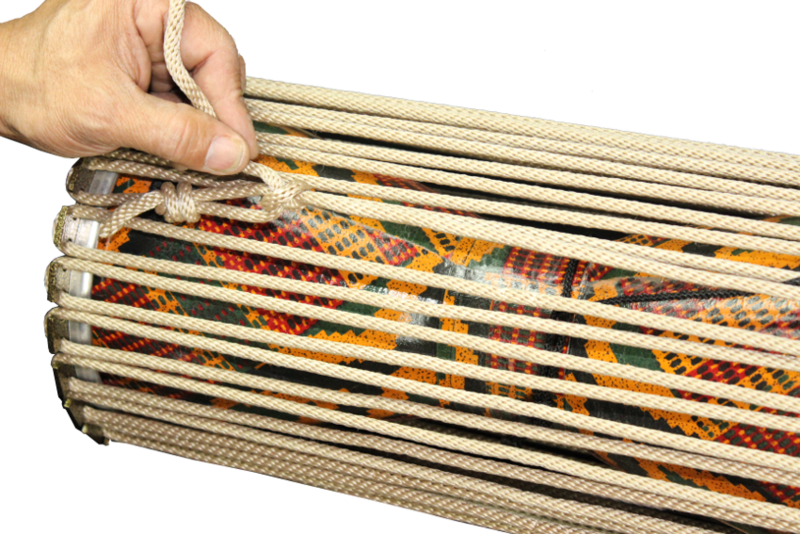 Once you’ve completed roping the drum, insert the end of the rope through the rope loop. 5. 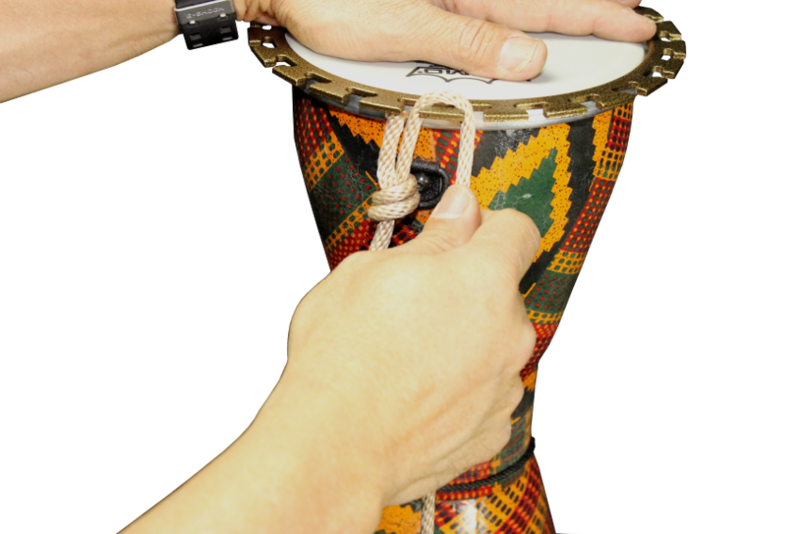 Light tension should be added to tune or raise the pitch of the drum. Do this by pulling down on each ring hook point. Tie a knot at the end to secure tension. 6. 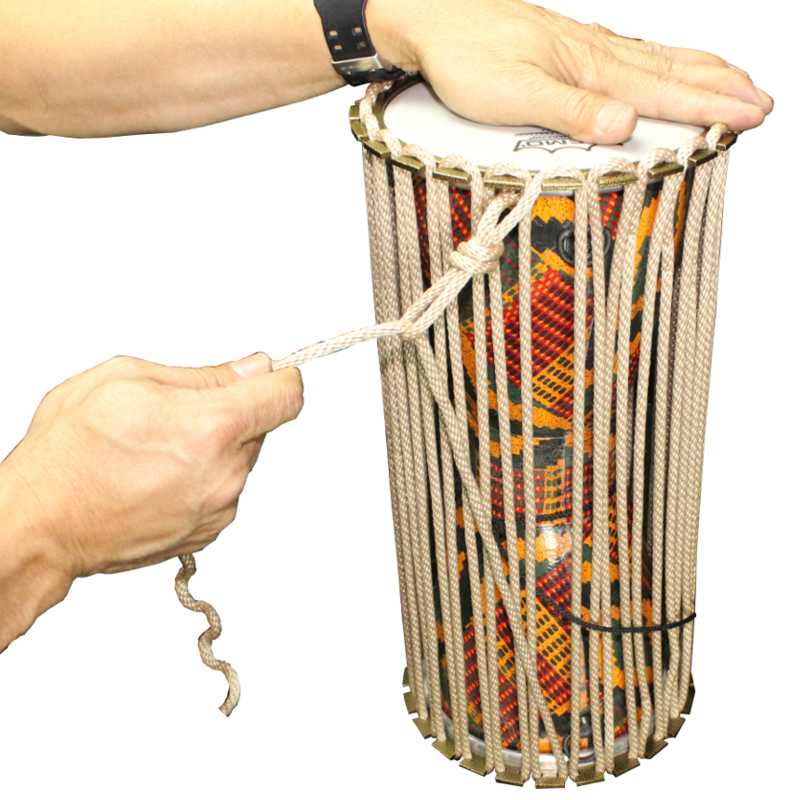 With a thinner rope tie on the vertical rope wind it around the middle of drum shell to modify the pitch higher or lower. 7. 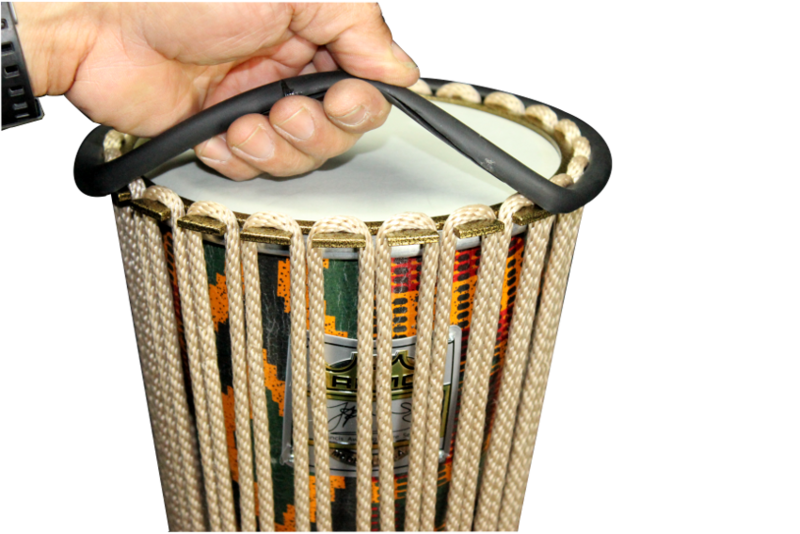 Now replace the rubber trim on both sides of the drum.